Bahia Black Head originated in 1998 with a pure Brazilian strain from a friend in Rio de Janeiro that was then crossed with a KC male. 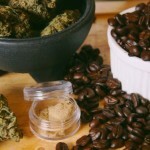 The cross produced a variety with the exquisite qualities of the Brazilian sativa intact, but with an earlier finishing time better for temperate zones. 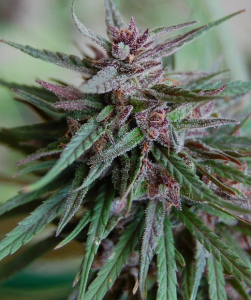 As a mostly indica plant, Bahia Black Head is bushy, with leaves that are very bright in the beginning. The leaves and bud both turn a very deep dark green as she matures. As the plant grows, the new leaves are smaller , revealing a hint of sativa heritage. 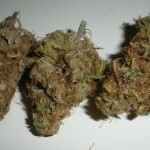 The buds tend to be an advantageous medium size that resist mold and moisture well. Bahia Black Head has a distinctly Brazilian flavor that is strong and slightly hashy, as is the smell. The buzz is a heavy indica stone that may set you in motion. KC Brains offers some plants that are especially intended for outdoors, where they’re allowed to grow large. Bahia Black Head has the great advantage of an early finishing time for growers in temperate climates, but may require some work to remain clandestine: when allowed to grow outdoors for a full season, Bahia can get as tall as 6-7 feet. Ever smoke or grow Bahia Black Head? Tell us about it in a comment below!